Chairlift-accessed downhill trails to vast cross-country networks await. 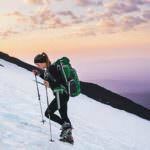 In the summertime, visitors to Oregon ski areas are rewarded with fresh air, high alpine vistas and plenty of recreational opportunities, including world-class mountain biking. The biking opportunities range from chairlift-accessed downhill trails to vast networks of cross-country trails. 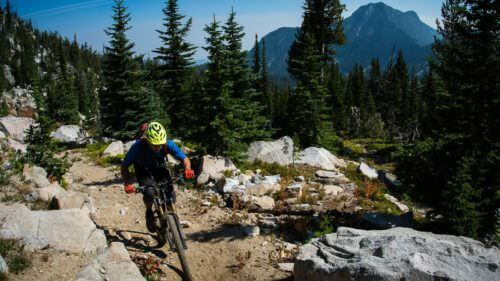 The number of ski areas offering mountain biking is growing, with Mt. Hood Skibowl, Mt. 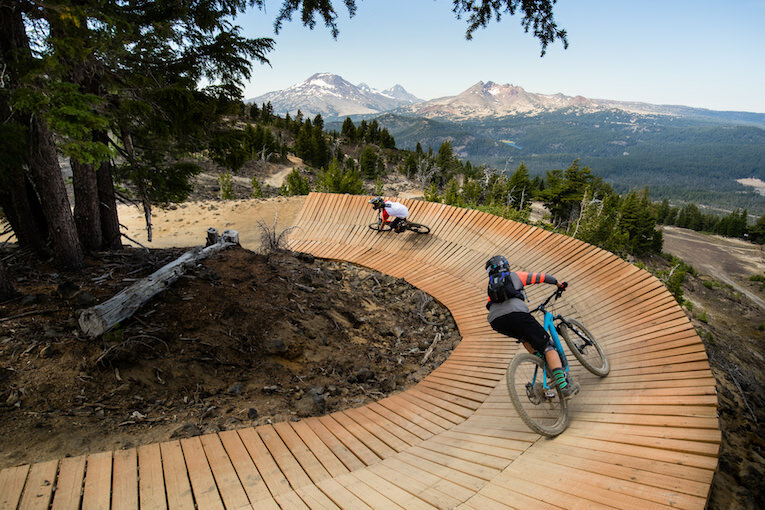 Bachelor and Anthony Lakes Mountain Resort continually expanding their terrain, and Timberline Lodge & Ski Area planning an exciting new lift-assisted bike park in addition to their existing U.S. Forest Service trailhead access. Mt. Hood Skibowl has bragging rights as one of the first resorts in the nation to offer chairlift-assisted mountain biking. Skibowl features a network of over 40 miles of mapped beginner, intermediate and advanced dirt trails with over 1,500 vertical drop accessed by a network of four chairlifts. Rental bikes are available in the Skibowl base area, where you’ll also be able to purchase a $40 lift ticket. 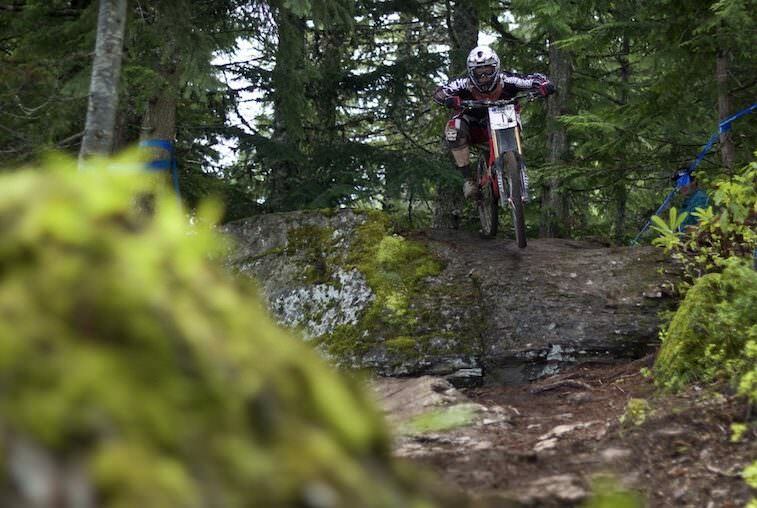 In addition to the single-track trails, Skibowl has a Freeride Mountain Bike Park complete with bridges, berms and jumps for a range of ability levels, and a mountain bike skills park to ease into freestyle biking features. This summer the resort is unveiling the new Sunrise Trail, a 2.7 mile-long single-track flow trail. The Lower half will be accessible everyday from the Lower Bowl Skychair, with the upper 1.5 miles accessible on weekends from the Upper Bowl Skychair. In addition to incredible terrain, the Sunrise Trail offers incredible viewpoints along the way looking out over Mt. Jefferson, Mt. Hood and the village of Government Camp. 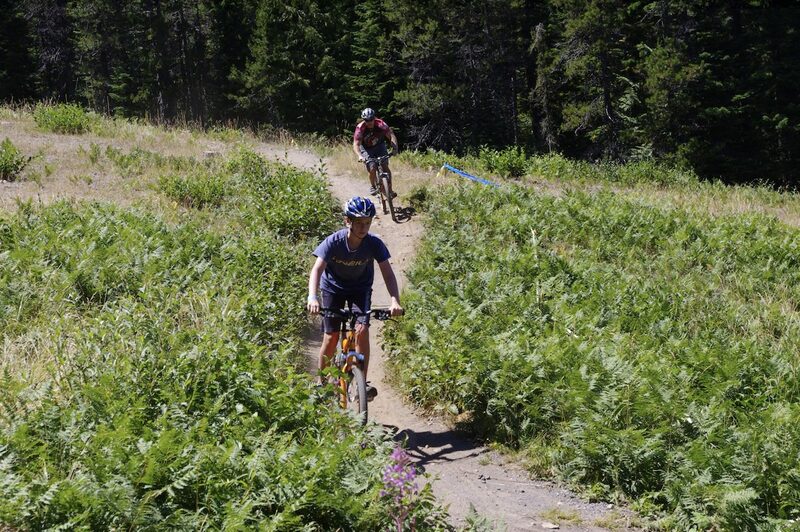 For those interested in exploring further into the wilderness, Skibowl also offers a “Bike The Volcano” guided downhill tour that includes a shuttle ride up Mt. Hood for a 2,000 vertical descent back down through the Mt. Hood National Forest. Scheduled trips are offered Wednesday, Friday, Saturday and Sunday from 11:00 a.m. to 1:00 p.m.; reservations are required 24 hours in advance. Mt. 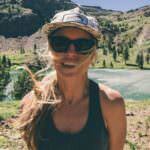 Bachelor kicks off another summer season of chairlift-accessed mountain biking beginning June 16 through the close of 2018 biking season (late September or early October). The Mt. 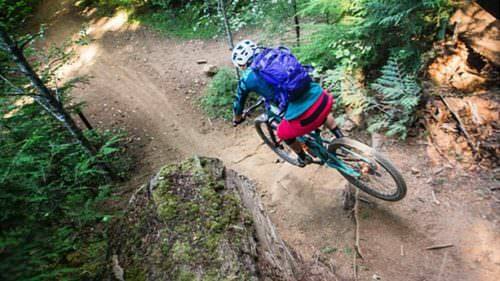 Bachelor Bike Park offers lift served access to 13 miles of downhill trails. Trails are built for riders of all ability levels with the Sunshine Accelerator Lift accessing beginner and intermediate trails, and Pine Marten Express transporting riders and their bikes to more challenging trails through rugged hillsides and forested banked turns. Mt. Bachelor also offers single-track cross-country trails for those looking for a mellower thrill. In addition to a repair shop, the mountain also offers a full fleet of rental bikes. Kids and teens are invited to sign up for the popular week-long Gravity Bike Camps offered throughout July and August. Day lift tickets start at $49 and season passes are available through the Mt. Bachelor website. At Anthony Lakes, you’ll be earning your turns to access the great network of mountain biking trails. The trail system includes over 8 miles of singletrack winding around the resort following the winter Nordic ski corridors. You’ll also find trails climbing up 1,000-foot to the summit with forested single track and rugged descents. The new Broadway Flow Trail is set to be completed at ALMR early this summer. This new three-mile trail will feature flowing downhill and banked turns for all levels of riders. 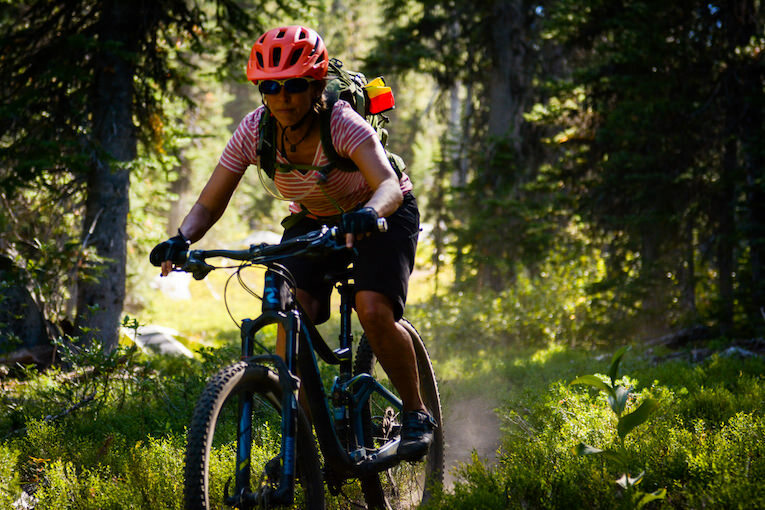 Anthony Lakes will be celebrating all things mountain biking at the fifth annual Mountain Bike Festival on Saturday, August 4, 2018. This is a great time to visit with bike demos and free guided rides for all levels. The Palmer Glacier snowfield allows Timberline to keep the upper lifts spinning throughout the summer for skiers and snowboarders. But those in the know, also head up to Timberline to take advantage of the U.S. Forest Service Timberline to Town trail, a five-and-a-half mile ride down to the town of Government Camp, which also connects to the 8-mile-long Pioneer Bridle Trail, for another incredible single-track descent into the town of Rhododendron. Riders will need to set up a car shuttle or use the Mt. Hood Express, which is outfitted with a bike rack during the summer months. 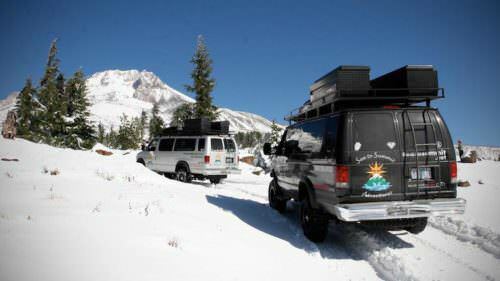 A two-dollar one-way fare will get you back up to Timberline. Timberline also recently announced plans for a new lift-assisted downhill bike park, with construction slated to begin this summer. The project will include a skills park, trail system, natural and man-made features and jump lines. Meadows is offering a summer Meadows Mountain Bike Camp for ages 10 to 16. This camp is offered for two sessions August 6–9 and August 13–16. Kids learn the basic skills for trail riding as well as bike maintenance and repair on the multitude of trails in and around Meadows and the Hood River Valley. 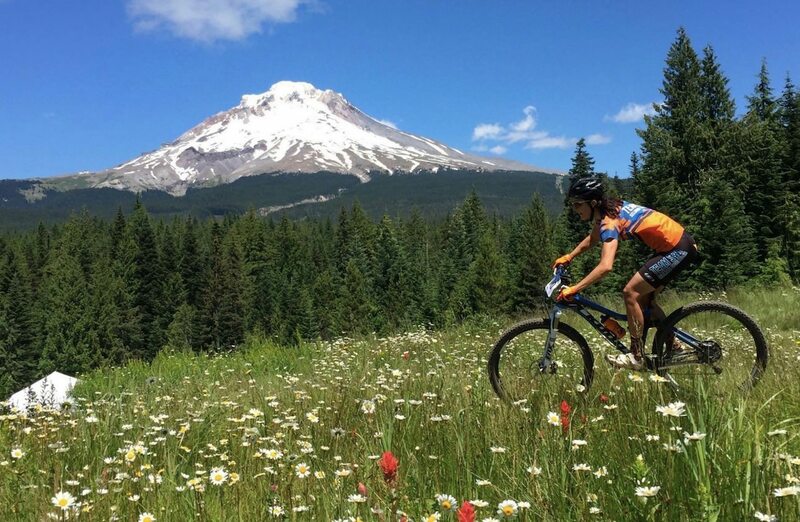 What are the best mountain bike areas in Oregon?